Research, Analysis & Discussion of lesser known military vehicle service. 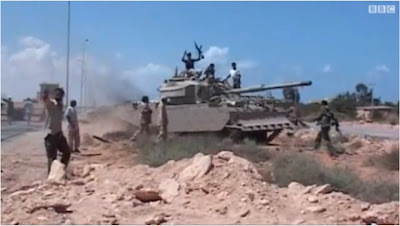 Recent images from Libya appear to show a Centurion 105 AVRE tank in service with Anti-Gadhaffi forces. What is apparent is that the Libyan example(s) is an engineer support version, or AVRE (Armoured Vehicle Royal Engineers) as it was known in British Service. At the front is a hydraulically operated multi purpose dozer blade with a fascine cradle mounted just above it (fascine being a bundle of branches or piping often used to bridge a void such as a trench of stream). The majority of British Centurion AVREs were also fitted with a 165mm main gun for demolition purposes and not designed to engage enemy armour. However in order to meet demand some frontline Centurions were retro fitted the dozer blade and cradle whilst retaining their standard 105mm gun, sometimes referred to as 105 AVREs. The pictures available would suggest one of those conversions. Whilst Centurions AVREs were exported in small numbers to several countries, it is unclear which received the 105 AVRE variant. The possibility that further conversions occurred specifically for export customers should also be considered. 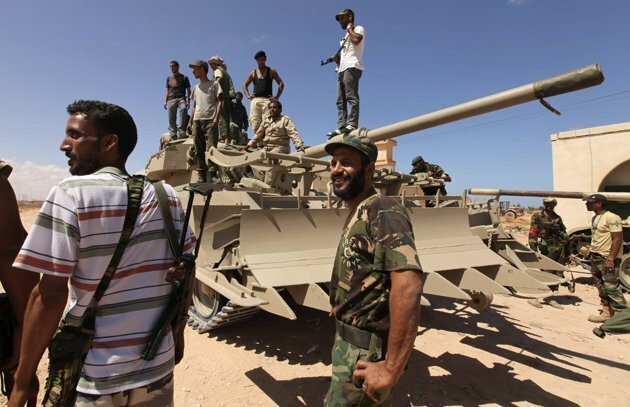 However due to the long running arms embargo against Libya it seems highly unlikely that this example(s) was exported to the previous Libyan state by the UK, especially given what appears to be a later version of the dozer blade mounted. 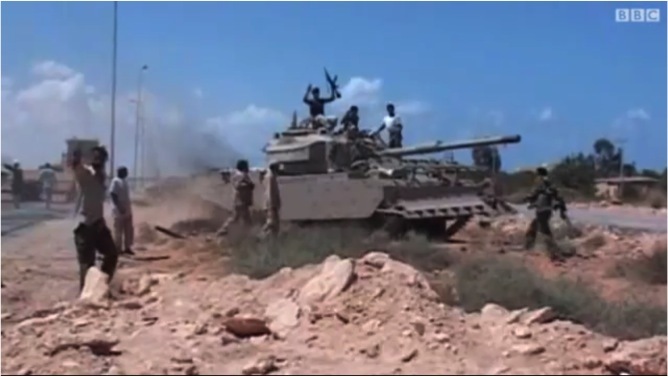 Therefore this example(s) was probably supplied direct to Anti-Gadhaffi forces in recent months. Some observers have suggested that they might be of Jordanian origin, with Jordan believed to be one of the many countries providing equipment to Anti-Gadhaffi forces as well as a long standing operator of the Centurion. Jordan is reported to have received a total of 355 Centurion tanks over the years (SIPRI), including a dozen Centurion AVREs in 1972, believed to be ex British army examples. 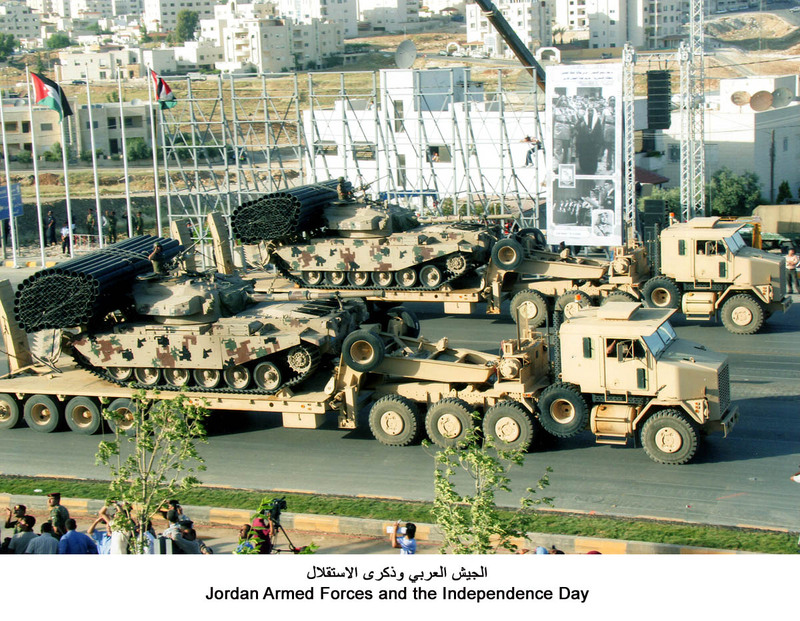 The photo below shows two Jordanian 105 AVREs (or similar) during a recent parade, which clearly shows the similarities to the Libyan example. Please note that I am not indicating that Jordan is definitely the supplier, simply that the suggestions made by others is plausible. Wow. The NTC is really going places! And to think many people thought the rebels wouldn't get anymore!